Do you want to send a fax online, no credit card needed? 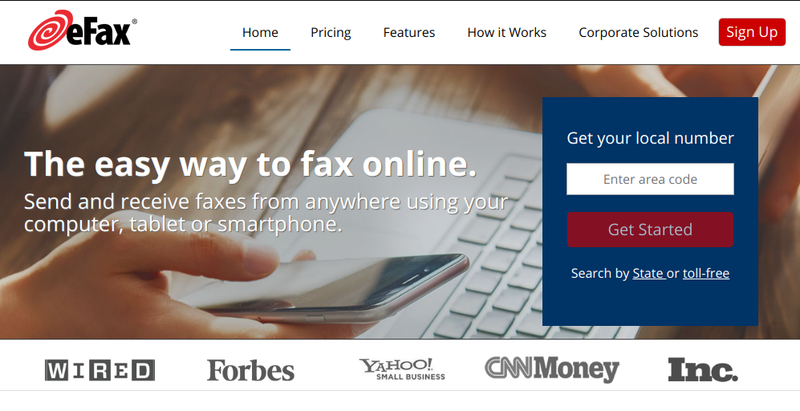 Check this list of free fax online services without a credit card required. Sending a fax through an online service is, for the user, the same as sending an email: the documents are attached, sent to an email address and voila, the fax is sent when the service receives the mail, which transmits directly to the corresponding fax. For the user, this is transparent. He sees nothing of what is happening. In the end, if the fax was sent correctly, the service warns that the documents were submitted successfully. I have found some free fax online services on the Internet, which to my surprise, seems to be used more than I would have imagined and don’t need a credit card. Myfax.com is a system that allows you to send faxes online for free for up to 30 days. It works with up to five email addresses, and in this test, you can receive up to 200 faxes or send 100 faxes without paying a penny. You need to register and give a credit card, but you can cancel when you want. The cost is about 10 dollars per month. An advantage of this option is that it has apps for iOS and Android, in case the client needs to send faxes through his phone. Like the previous services, you send an e-mail and send it to the fax that you have by adding the legend to the e-mail address@efaxsendcom, that is, if the telephone number is 5525252500, you would have to put 5525252500@efaxsend.com. Provide a 30-day free trial, but you must enter the credit card information. If one doesn’t cancel the test, the system will begin to charge from the 31st the monthly fee of 145 pesos. It must be said that to cancel, you have to talk to a call center and there is no way to do it from the page. Hellofax.com is another free fax online service, no credit card needed, similar to the previous ones and to start, you can try for free. There is a limit of five fax sheets for this free service. You have to create an email account or connect to the Microsoft or Google account. In essence, it works the same as the other services. Pay plans range from $10 per month to $40 per month for small businesses. You can try it for 30 days and cancellation can be done on the website. In general, these services seem very functional and do their job correctly. They have the virtue that the user who needs to send fax doesn’t need to buy thermal paper, ink, or the implements that traditional fax requires. Also, the prices are accessible and if you are in as in my case, where sending fax was an eventuality, any of these services with the free trial are more than enough to solve the problem. So far those were the nest free fax online services that don’t require a credit card to send free faxes. Do you use another service to send free faxes without a credit card? Let me know in the comments section.